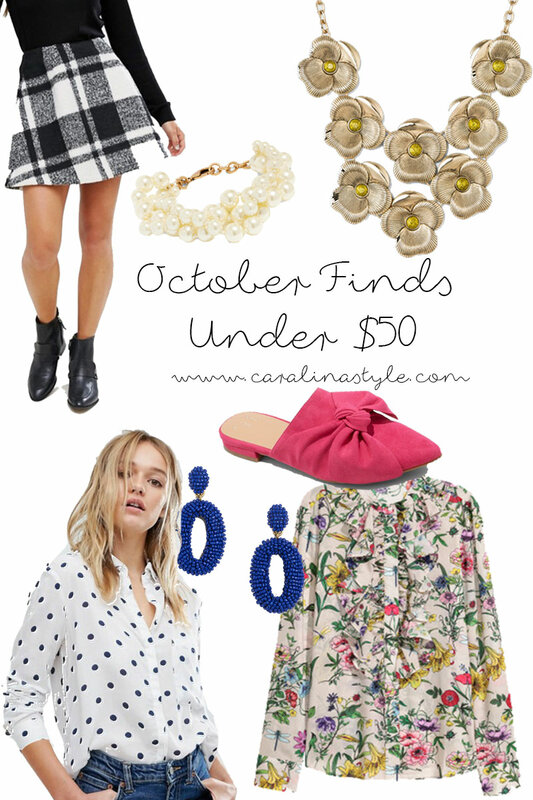 It's time for the October edition of Finds Under $50! As I was putting this together, I have seen quite a few fall florals trending like this top, which I am all about. I have also loved seeing some brighter colors like in these pink bow mule flats and these cobalt statement earrings. But if you prefer a neutral, they are also available in black. And I also think this plaid skirt would be so cute for work! In case you missed them, here are my finds under $50 for August and September. just bought the earrings in black, they are on sale for $17! LOVE!